Perfectly combined simple furnishings with bright colors. Hotel Suraksha Residency is located at 6th Cross Road, Gandhi Nagar, Bengaluru, Bangalore. Sri Chamarajendra Park, Bangalore Fort, Tipu Sultan's Summer Palace and National Gallery of Modern Art are located close by. The hotel features rooms with a perfect combination of decent furnishings and bright colors of curtains, cushions, and walls. The washrooms are neatly tiled with light colored tiles along with a decent sized mirror. 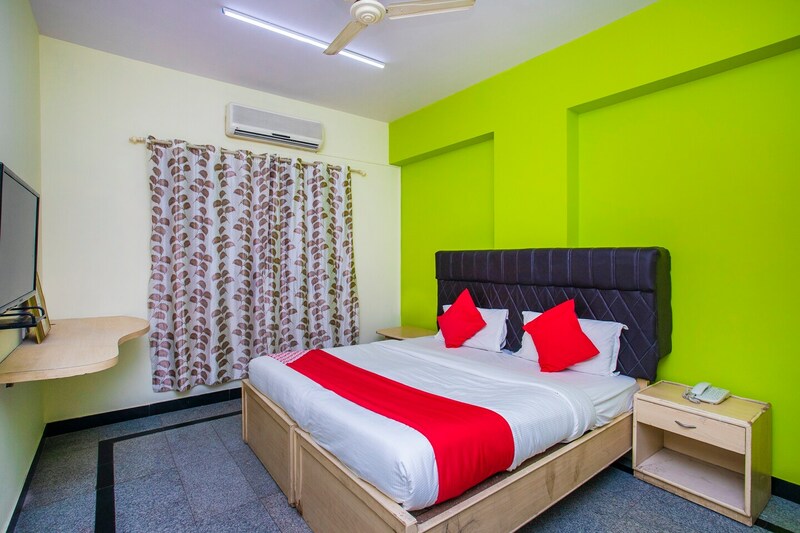 Hotel offers a number of amenities like power backup, card payment facility, AC, free Wi-Fi, parking facility, and CCTV cameras. There are a number of restaurants located in the close vicinity of the hotel.